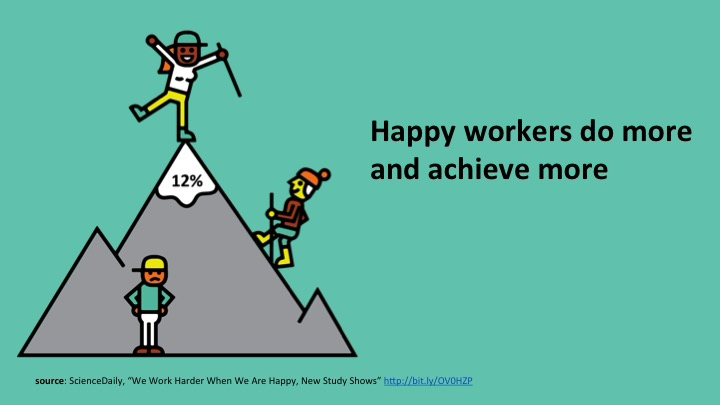 You have realized that there is not enough motivation from your employees. You are sure that there is untapped human potential. You are missing enough global leadership capability in your team. You want to be proactive about this current situation. It follows the systems thinking movement that 95 percent of the performance of an organization is the result of the whole system, not the individual. Management 3.0 examines how to analyze that system to come up with the right solutions for better leadership across organizations. 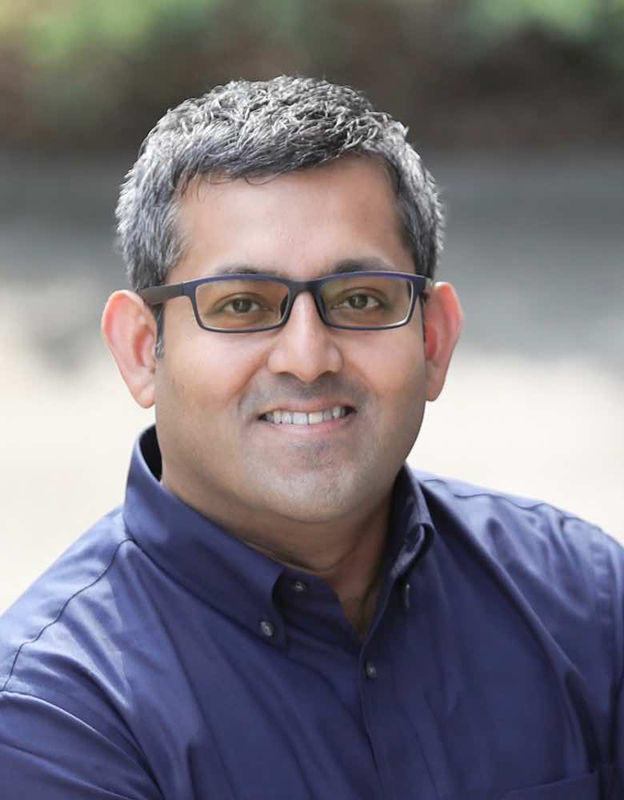 Is Management 3.0 right for you? Yes, if you have realized that highly motivated people are the most important asset. Yes, if you recognize the need of modern global leadership for Japanese companies. Yes, if you have understood that you need to optimize the whole team or organization. Who usually attends this Workshop? 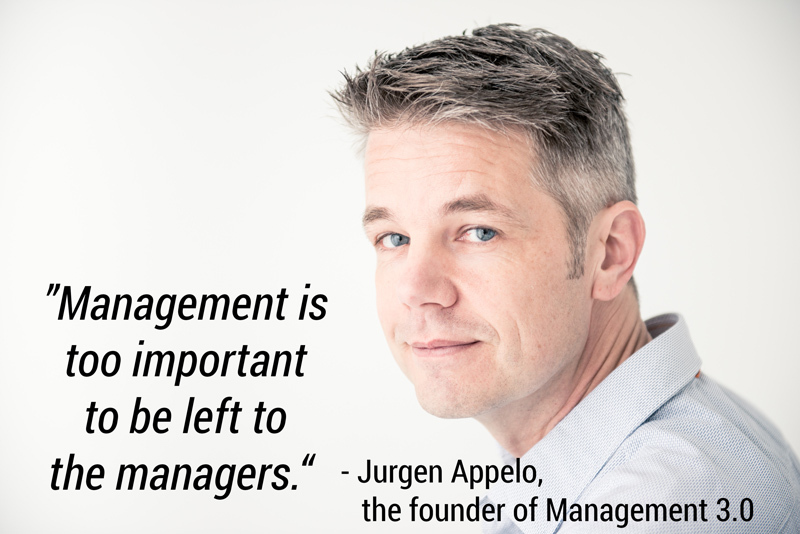 Management 3.0 is for anyone with leadership potential. This course aims at managers, leaders as well as team members who want to learn about how to contribute to become a great organisation. In other words everyone who wants to manage for happiness. What will you achieve by completing this workshop? Management 3.0 is very practical methodology. 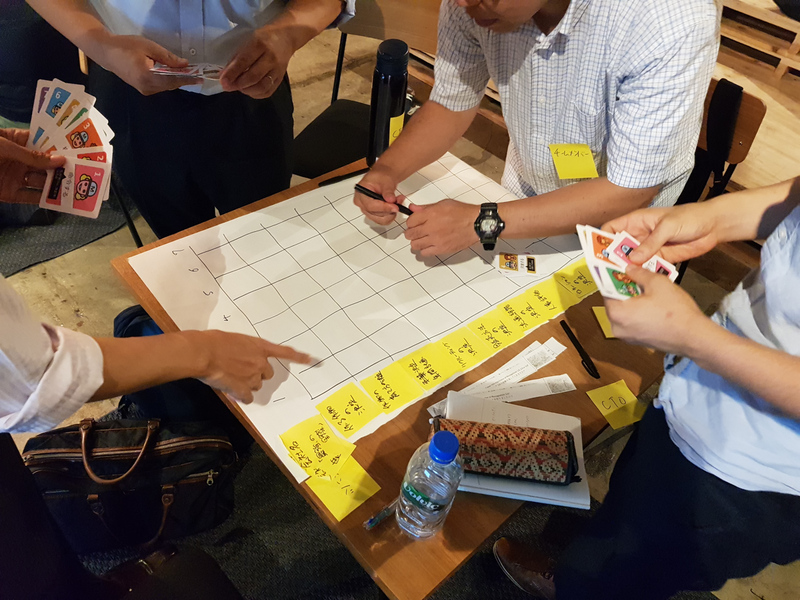 In this workshop, you will try out many different management tools, games, and exercises. And this public training will also involve a lot of open discussion and problem-solving among the participants which will lead to peer-learning. Furthermore 16 PMI-PDU/-ACP credits are applicable. 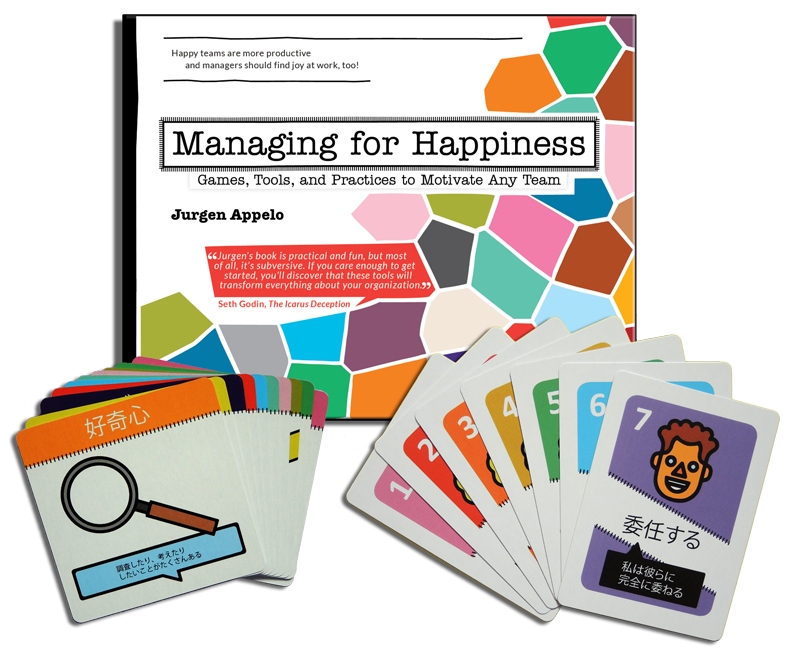 All participants receive the book “Managing for Happiness” by Jurgen Appelo, one set of Moving Motivators and Delegation Poker to continue the experience after the workshop. 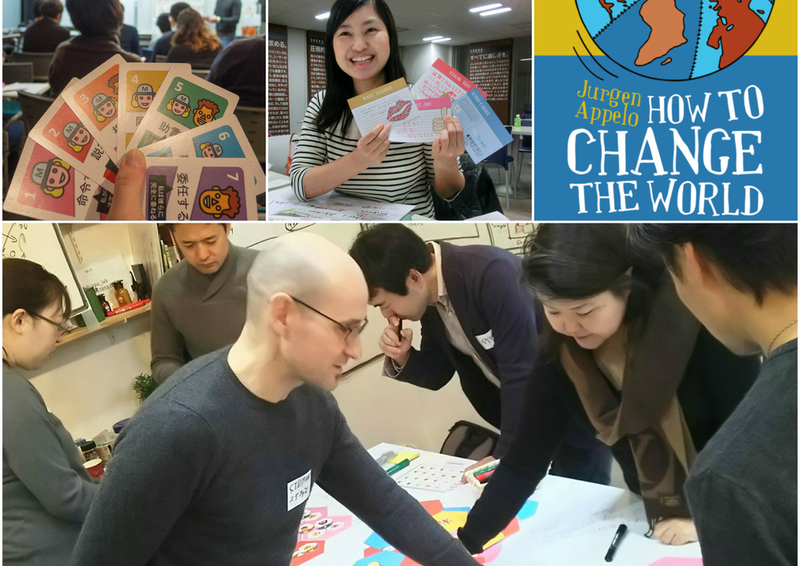 The event adhere to the following principles: theory and practice in small chunks; clear and effective visuals; inspiring stories and metaphors; fun games and exercises; focused group discussions; and concrete practices with tangible results. Management and Leadership are one of the two building blocks of Management 3.0. You will learn about the different Management styles, 1.0, 2.0 and 3.0. Complexity thinking is the other building block of Management 3.0. You will learn about what complexity theory is and about the eight guidelines to deal with complexity. Team empowerment is the key to self-organisation. You will learn how to distribute authorization in an organisation with the seven levels of delegation and implementing them with the delegation board. Only through common Values and Culture can self-organisation work. 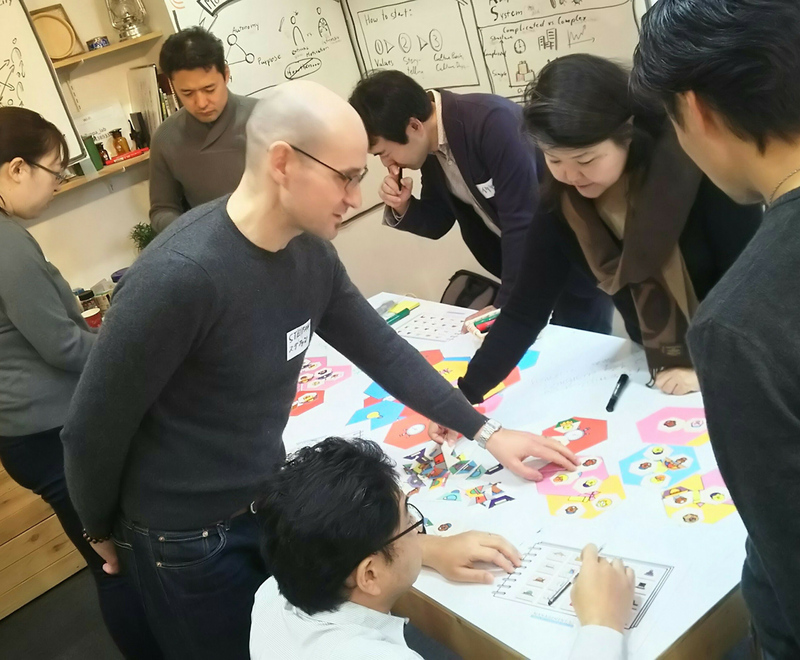 You will learn how to give people a clear purpose, setting a goal and aligning the constraints by helping your team to discover their values and making them alive instead of just decorations on the wall. Development of competences in the team is important in order to deal with todays fast changing world. 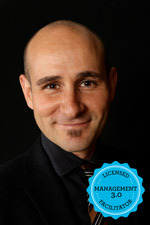 You will learn about skill levels and techniques to improve and organize their competence development by using the Competence Development Matrix. To scale an organisation in an agile way it is important to consider structures that enhance communication. You will learn how to grow an organisational structure as a fractal and to balance specialization versus generalization, when to choose between functional versus cross-functional teams and about treating teams as value units in a value network. 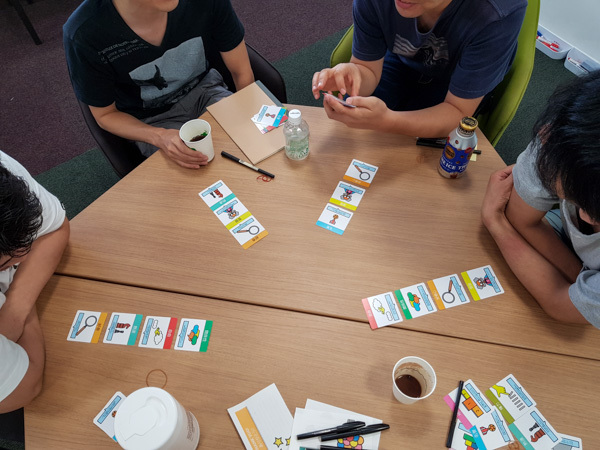 Improving by success and failure is important because team members, teams and organisations need to improve every day by failing fast and learning fast. You will learn how to celebrate failure and why conducting experiments is important and how to manage such experiments. 15 years of applying innovation & entrepreneurship to products, services, and business models. 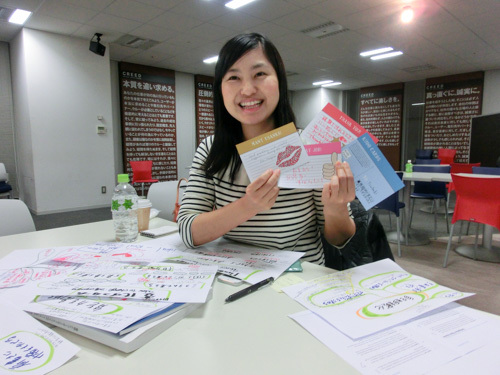 Practitioner & Coach of Agile, Lean Startup, Service Design methodologies. Startup Discount (105,000 yen)　※Terms of establishment within 3 years, number of employees 10 or less, capital 1 million yen or less will apply. If you are interested please contact us by e-mail. A minimum of 3 participants are required for a workshop to proceed. If there are less than three registrations, the event will be cancelled and 100% of the event fee will be refund. Please contact the organizer for discount prices. For more details of the standard Management 3.0 Two-Day course visit the global Management 3.0 website. We can also run this workshop in-house at your company.